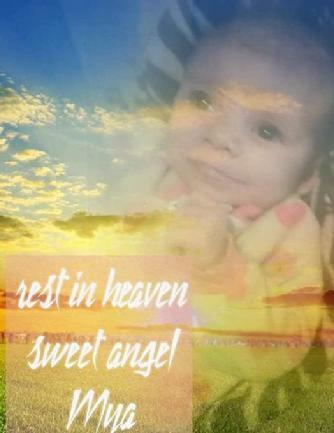 Hampton, South Carolina -- Our Angel, Mya May Ray Haskell, two-month-old infant daughter of Danny Ladon Haskell and Anna Jean Brinkley, passed peacefully during the morning of Monday, March 4, 2019 in Hampton, South Carolina. In addition to her parents, Mya is survived by three siblings: Little Master Aaron, Little Angel Athena and Little Angel Millie, all of the home; Her maternal grandfather and grandmother: Edward Raymond Johncours, Jr. and Ruann Johncours of Hampton; Other relatives and caring friends. Mya has left a lifetime of love during her short time on earth and will be missed sorely.